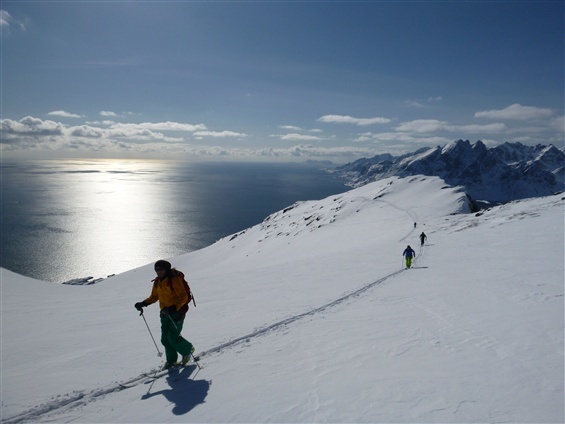 We have the pleasure to sail with Trio for our ski tours. 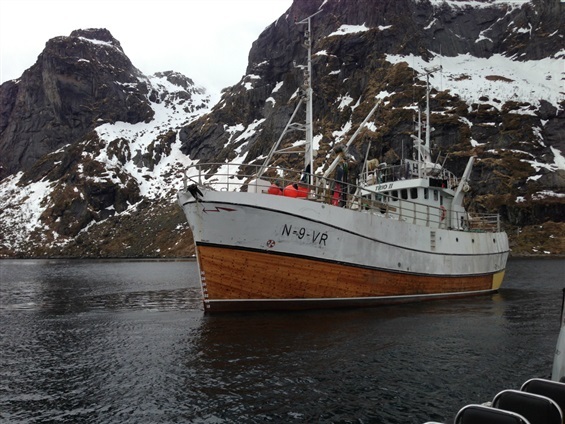 This old fishingboat can sleep 10 and takes us where we would like. Behind Trio we have a zodiac so we have easy access to wherever we spot a good line. 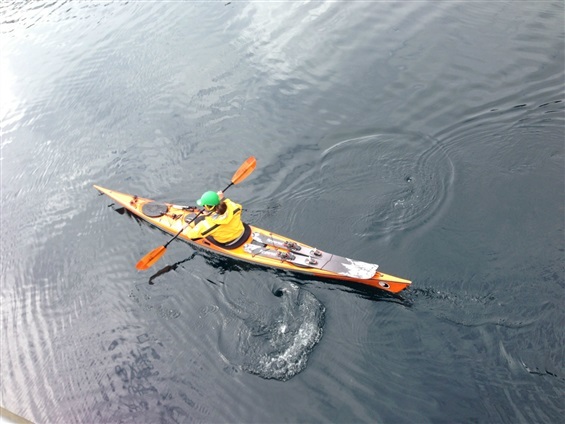 We have also fitted the boat with kayaks so there will not be much spare time. We fish and cook onboard. 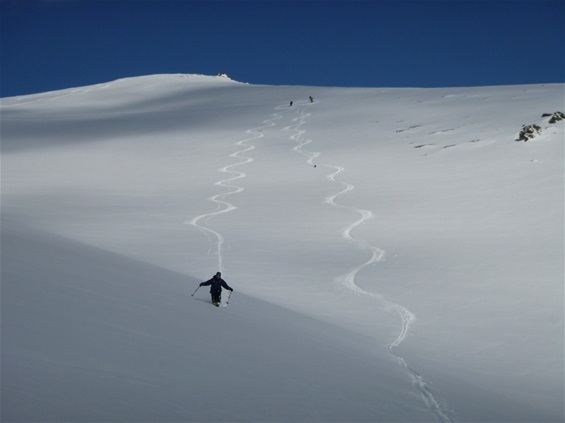 For more info about our ski tours please e-mail us and we will send you a quote. 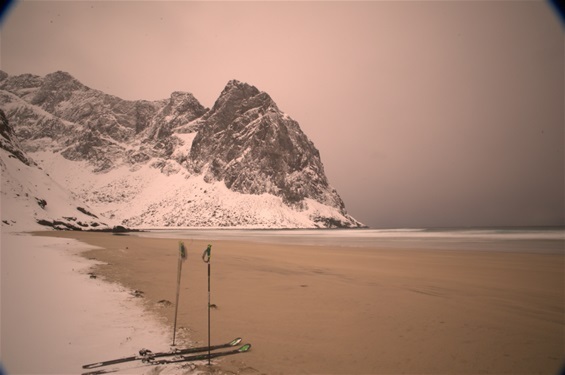 Welcome to the west Lofoten and our hidden tresure. 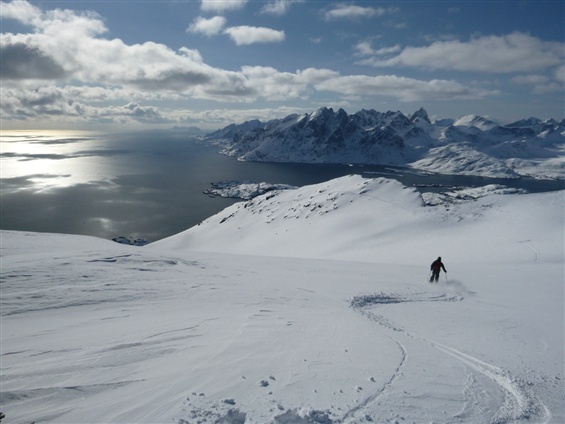 Our skitouring season starts in January with few ours of light, and ends in may with 24h daylight. We have endless coloirs in Flakstad and Moskenes. From steep to very steep. 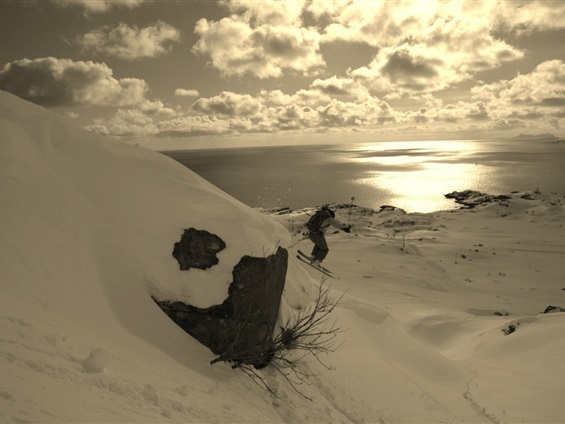 If you are more into classic tours with low intensity, you have come to the correct place. 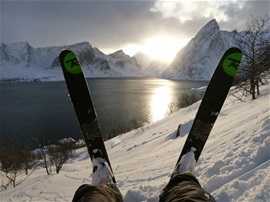 In between the peaks we have beatiful runs that take you from mountain to sea. Yes we have a wet climate but we still get this. 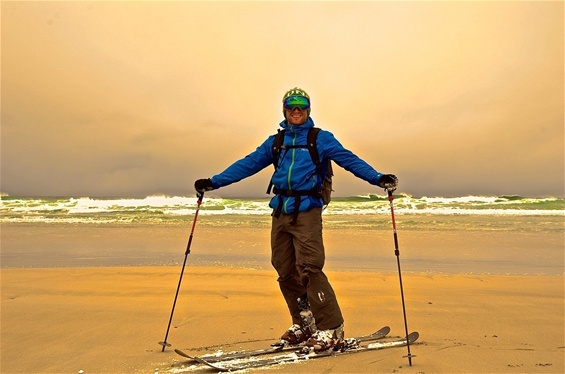 The ultimate skitouring experience - end your day of skiing on the beach.